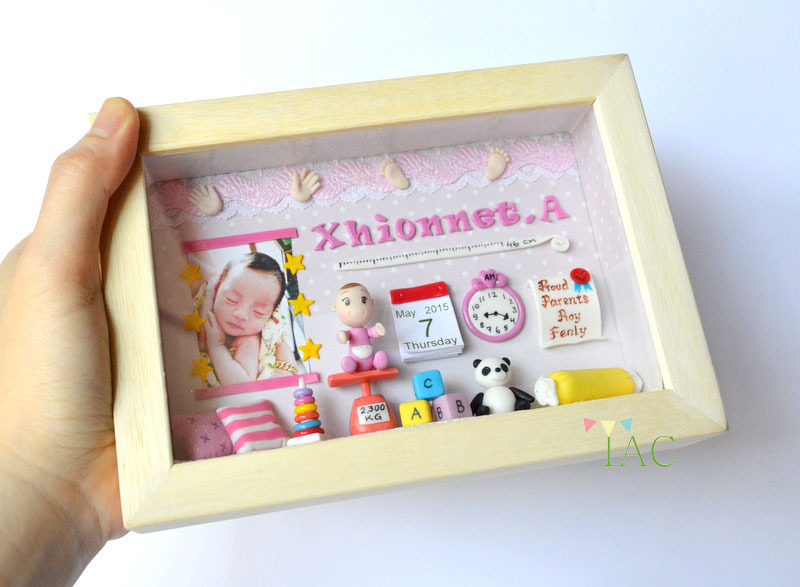 Still about baby frame, but this time it's for baby girl. This is a repeat order from a very lovely customer. 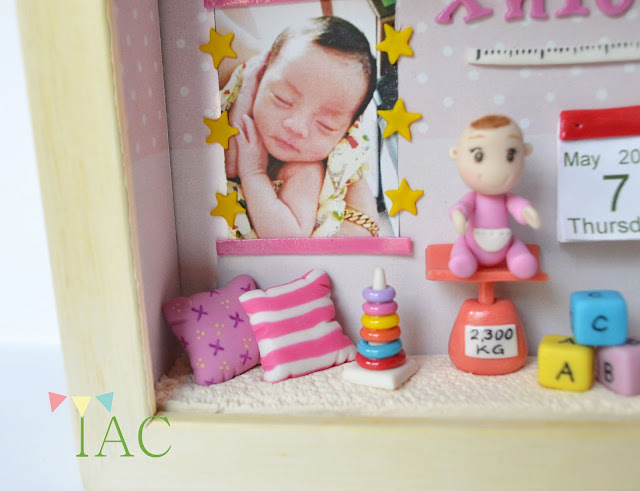 I was so excited when I received a call from them telling me that they have just welcomed a new member in their family and they would like me to create a frame for their princess. The size of the exterior is 17,5 cm x 12,5 cm and 3,5 cm depth. The size of the interior is 15,5 cm x 10 cm (4R photo size). All the decorations are made of Japanese resin clay, except the calendar, photo, and the pink embossed ribbon. I guess you must be wondering what is the Panda doing there?? does it have anything to do with the baby? It can't be her pet? Actually there is a romance history behind this special Panda doll. Baby Xhionnet's parents are a great fan of Panda because their first date was watching Kungfu Panda together in the cinema. It meant a lot to them that they even nicknamed each other as Pen Pen and Po Po. What a cute couple! 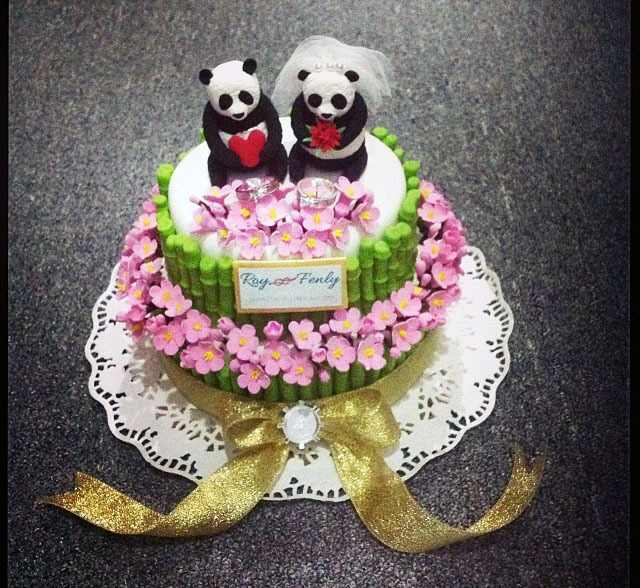 Out of their fondness of Panda, they ordered a Panda themed ring pillow for their wedding. It was a special project for me. So, that was how the idea of putting a panda doll in the frame came from. I used Japanese soft clay Hearty to make the cakes, cherry blossoms and the Pandas. 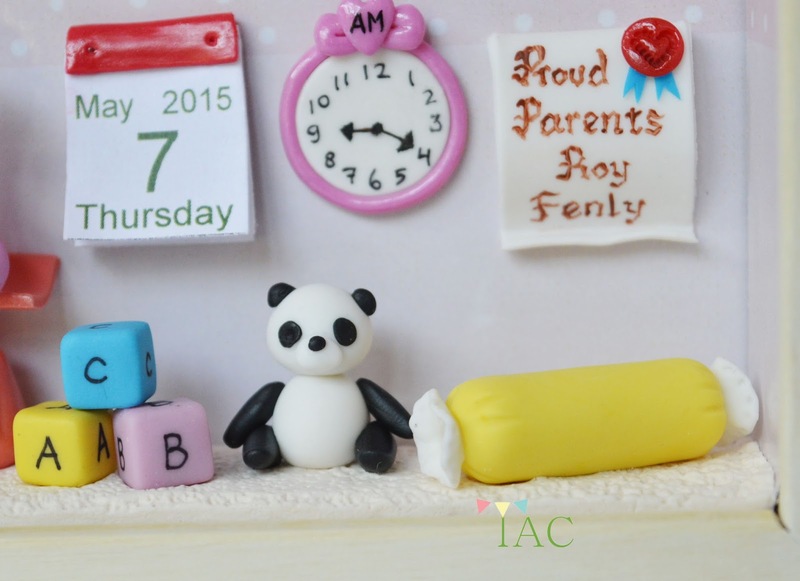 The bamboos were made with Japanese resin clay.